Surf Park Central would like to be one of the first to welcome Scotland to the list of Countries that will host their own surf park. April 25, 2018. Mark Boyd, Captain of Scotland’s National Surfing Team, has watched as the surf scene has grown substantially over the years in sheep-land. There’s some seriously good Scottish talent breaking out into the surf world. Looking forward to future Olympic events, this facility will be a huge tool and motivation for groms in reaching an elite level. This rings especially true when we look ten or fifteen years to the future. The 2020 Olympic Games in Tokyo will hold the surfing events in the ocean, at Tsurigasaki Beach. But, the industry is working on developing wave pool locations to hold future Olympic Surfing events, such as in France for the 2024 Olympic Games. If we’re seeing all countries compete in the same kind of wave – i.e Wavegarden Cove, in turn, all of the surfers will practice on the same technology. Breaking down the barriers between guys who practice at Teahupoo and at Huntington. That’s a major opportunity for these surfers to position themselves properly for an Olympic win. “Another very exciting aspect of Wavegarden Scotland is the opportunity to nurture surfing and sporting talent. 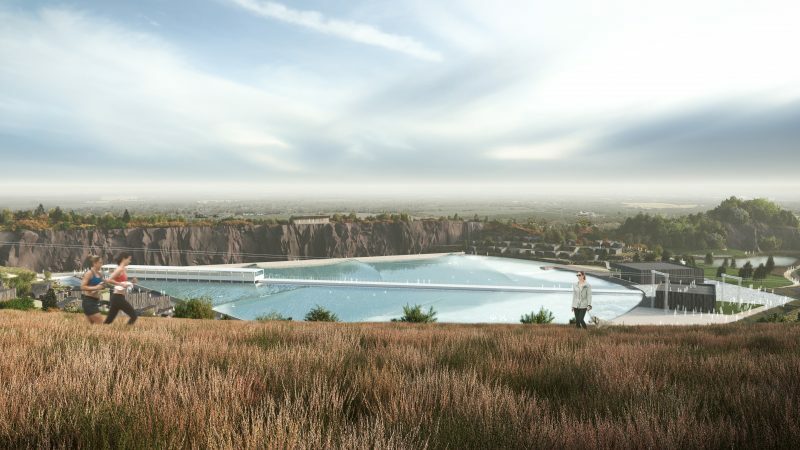 With Scotland’s own surfing team starting to make a mark on the global surf scene, we hope to inspire the next generation of surfers, lifeguards, and active outdoor enthusiasts.” – Andy Hadden, Co-founder of Tartan Leisure LTD.
Today, Wavegarden Scotland received the green light regarding the planning application submitted to redevelop Craigpark Quarry near Ratho, Edinburgh, into a world-class surfing and family leisure facility. Surf Snowdonia in the UK welcomed over 155,000 visitors last year. Andy Hadden and the rest of the team behind Wavegarden Scotland witnessed that success and decided to bring it home. Christine Jardine, MP for Edinburgh West, is stoked on bringing this project to Scotland. Anything that creates over 130 new jobs, heaps of revenue for the city, and a family environment is welcomed. After putting the plan into circulation last year, they received overwhelmingly good feedback. Tartan Leisure LTD – (the group behind the park) – then had the entire project master planned and designed with the help of landscape architects and engineers. 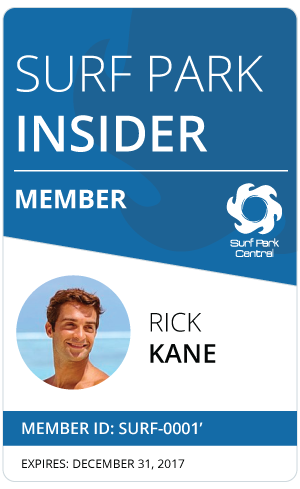 Apart from the other sub-businesses that are needed to support a wave park – like a surf school and retail spaces. Wavegarden Scotland is bringing a zip line, water tubing area, a bike skills track, and a snow-sports training jump. They’re going to follow it all up with Glamping pods situated on the property. This project will deliver benefits to more than just surfers in the local community. Situated just along a country park the site will be appealing to walkers, runners, and cyclists to enjoy. “Alongside this, we expect to create up to 130 jobs and generate up to £11m for the local economy every year,” said Andy Hadden. The wave park will utilize Wavegarden Technology, specifically their “Cove” model. This unit produces up to 1,000 virtually perfect surfing waves per hour. The Wavegarden Cove Technology is one of the most advanced wave generating systems out there. The machine can produce waves suited for novice surfers up to waves that would interest the likes of Kelly Slater. Scotland already hosts a number of world-class waves. But, some are deadly, while others are more inviting. Actually, the North-Atlantic that surrounds Scotland has proven to be unrelenting when it comes to novice surfers. Last year, Matthew Bryce was surfing off the coast of Ireland when he got swept 13 miles out to sea. Surf Snowdonia then gave Matt an opportunity to get back in the water. Adding Wavegarden Scotland, locals, and tourist will be able to experience the exhilarating feeling of surfing, regardless of their level. This resonates extremely well with anyone that’s tried to learn how to surf. However, people like Mark Boyd and the athletes on Scotland’s National Surf team are going to use this opportunity to secure their spot in the surfing spotlight. “We welcome Wavegarden Scotland’s visionary project and look forward to practicing our sport in safe and consistent waves. Having this facility will give the Scottish surfing team a huge edge when it comes to future competitions, to have this as a base will do wonders for the sport.” – Mark Boyd, Captain of Scotland’s National Surf Team.